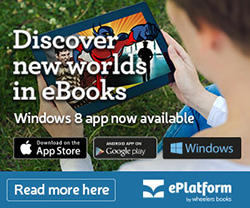 Wheelers ePlatform gives library members free 24 hour access to a growing collection of eBook titles. You can read eBooks on your home computer, laptop, smart phone, tablet or dedicated eReader device*. We add to our collection each month, and welcome your suggestions. To see what titles are currently available go to our Wheelers eBook platform. Here you will be able to reserve, borrow, and download eBooks. You can view a list of all our available Wheelers eBooks on the ePlatform, or search on our catalogue. if a book is checked out you can add it to a read later list or place a 'hold' on it. The quickest and easiest way to borrow and read eBooks is through the app. Read your favourite books at any time (even offline) on your iPad, Android phone, Windows tablet or other tablet/mobile device – without downloading any additional software. * Note: Wheelers eBooks are not currently compatible with Kindle eReaders though you can use the Kindle Fire tablet with the ePlatform app. Help is available through the Selwyn ePlatform or ask a library staff member. If you have forgotten your library PIN please contact us.